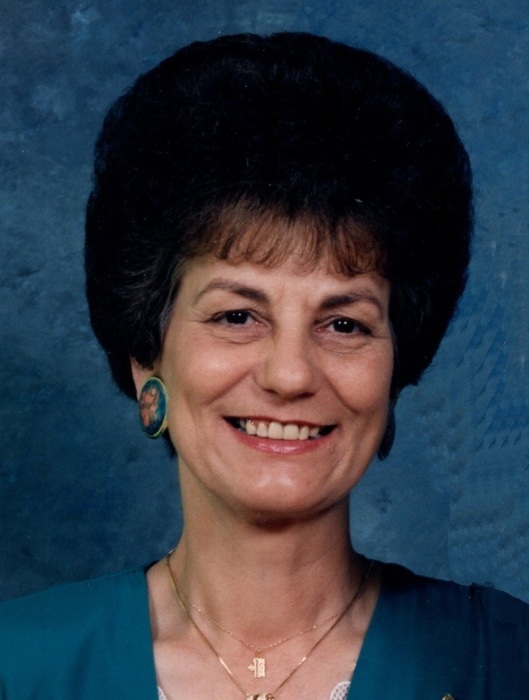 Betty Lou Brock, 77, of Fayetteville, passed away on Monday, March 25, 2019. Betty was born on May 2, 1941 in Fair Bluff, N.C. She retired from Goodyear Tire Co. in 1998 as a Quality Analyst Inspector. She was the daughter of the late Herbert Taft Wilson and Letha Delight Wilson. She is survived by her husband, Willard Thomas Brock of 61 years Marriage. She has two daughters, of Linden, NC, Lisa Tew and Joyce Barber and one son, Timothy Brock of Stedman, NC; One grandchild, Brandi Tew, which preceded her in death and four other grandchildren, Tyler Tew, Kayla Burget, Kevin Brock, Grace Barber; four great grandchildren, Hayley Tew, Ethan Tew, Paxton Brock, and Isaac Tew. Betty has one sister, Carolyn Stone and Three brothers, Kenny Wilson, Gary Wilson, Jimmy Wilson and one brother that preceded her in death Bobby Wilson. Betty enjoyed and cherished her family. She was a true servant of the Lord. She loved being outside planting flowers and observing Gods creation. Her hobby was creating ceramic in her shop and painting. Her passing is sad, but glorious, to know that God has a bigger plan for Betty and needed her a little more than we did, to fulfill that plan at home in heaven with Him. Funeral services will be held Friday, March 29, 2019 at 11:30 a.m. at Jernigan-Warren Funeral Home. Burial will follow in Lafayette Memorial Park on Ramsey Street. The family will receive friends from 10:30-11:30 prior to the service at the funeral home.